There are many benefits to joining the American Kitefliers Association, one is that you will receive the excellent journal, "Kiting" six times a year. 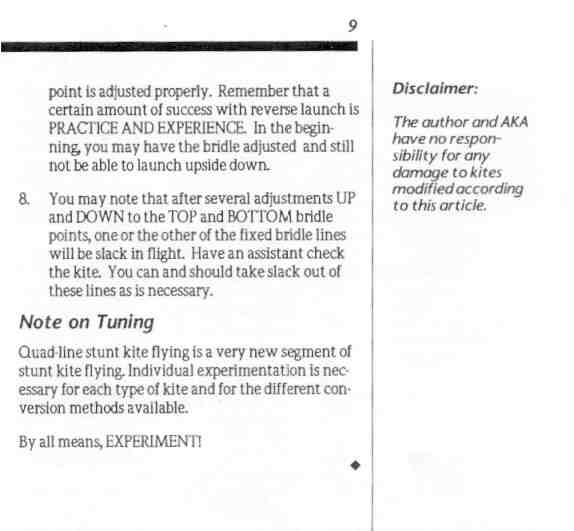 Voted "outstanding publication" by the Kite Trade Association in 2000, the journal includes a kitevents calendar, kite plans, tech sheets, local club activities, committee and policy reports, a list of Member Merchants, and more. 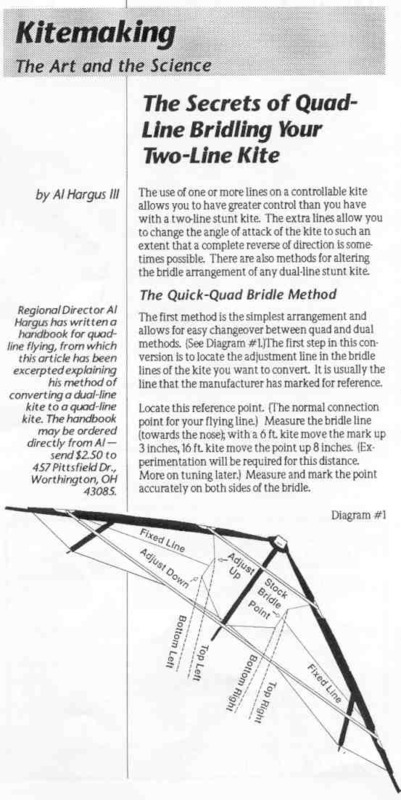 An article explaining Al's method of converting a dual-line kite to a quad-line kite.